Hello, my name is Tootie and I am 10 years old. I am just old enough to have outgrown all the silly puppy habits. My favorite thing to do is cuddle in your lap and give you kisses. I would do that all day every day if I could. I am both crate and potty trained, and get along fine with both my foster dog sister and all four cats in my foster home. My foster mom says I would do best with someone retired or who works from home. I just want to be with my person. Since I am a little older, I am quiet and only bark when someone comes to the door. I am up-to-date on all shots, micro chipped, and healthy. I want a forever person to call my own. Could it be you? If you have any questions please contact the foster home at the link found at http://puppypalsrescue.com/Dogs_Tootie1748.html. Fill out an application if you are interested in adopting this pup - you can find those at http://puppypalsrescue.com/Applications.html. (Email the foster home and let them know you applied so they can be sure the application is received!) 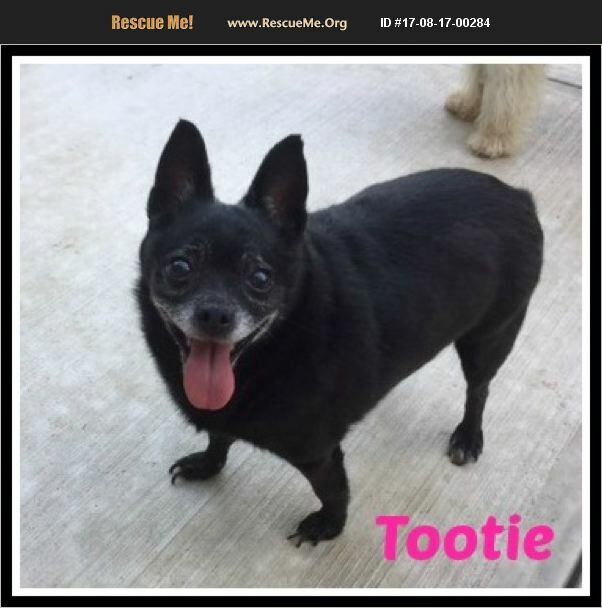 Tootie just can't wait to find a forever home! Thanks!! !